We just got home from a 2-week vacation to Florida. It was aaaaaaamazing! I loved having time to just hang with my family. Our “regular” life can sometimes feel a little crazy. This was a much needed time to connect with each other, to disconnect from everything else and to just laugh, play and have fun!!! As much as I loved our vacation, I was also happy to get back home (minus the way colder weather and daaaaaaays of laundry I have to do). And I realized that one of the reasons I was happy to get back is because I really love our home. It’s so important to love your home. You spend a lot of time in it. It’s the place you go to relax. To feel comfortable. To “let your hair down” and just be you. I’m very intentional about creating a home space to feel welcoming, comfortable and cozy. It’s a top priority for me to feel like I can just breathe and be at home. When my “house to do list” gets too big – it really stresses me out. And home is the LAST place we want to feel stress. I’m diligent about regular decluttering, organizing and cleaning (and I created a course – Find Your Freedom – all about “how to” do this because I think it’s so important). Before we left for vacation I made sure everything was clean, all the laundry done, all the sheets changed, etc. so that we could walk in and feel relaxed (especially since we’d be coming home to much chillier weather, and after 17 plus hours in the car). It’s kind of like a giant bear hug – walking in and just feeling wrapped up with all that comfort and coziness. You can just fall into it and just breathe! 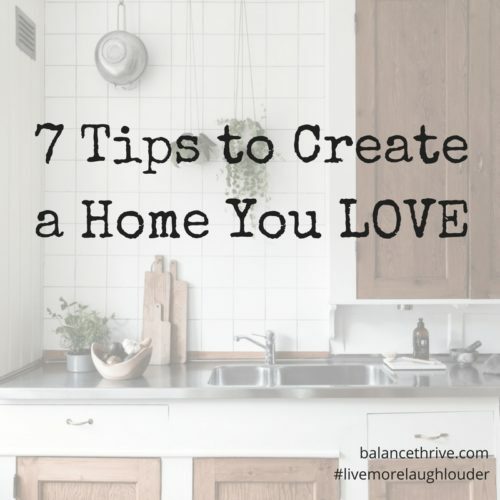 Here are 7 tips to help you create a home you LOVE. They’ll help you feel better every single time you come home – whether it’s from a nice relaxing vacation or a long stressful day at work. Keep it clean. Put the dishes away, make sure countertops are cleared off and wiped down, and vacuum. Doing these 3 things on a regular basis will be a game changer. I know that after a long day the last thing you want to do is clean up BUT taking 10-15 minutes to do these things will help you to feel more relaxed and at ease. It’ll be worth it and once you get into a regular habit – it’ll be no big deal. Designate collection zones. Decorative hampers for your laundry, key hook or jar for your keys, drawer or slot for your mail. Know where things go, and put them in there place. Otherwise your kitchen table or counter will become a collection zone for all the “things.” You’ll end up with piles of stuff everywhere. Simply having designated spaces and putting things in those spaces will feel like a form of organization. Declutter regularly. Things collect over time – spices, clothing, shoes, pens, utensils, random “things.” It’s not a big deal that it happens, but if you’re not decluttering regularly you’re going to get to a point where this stuff feels overwhelming. Most of the time clutter is a low-grade ding on our energy, it’s a little annoyance. BUT when these are sprinkled throughout your space (office, fridge, car, closet, medicine cabinet, linen closet, pantry, purse, etc.) it really adds up. You’ll feel like you’re living in your to-do list! It’s best to just dive in and clear that clutter on a regular basis. Keep up with simple fixes. Change your light bulbs, tighten the leaky faucet, replace the shower head. It’s all too common to put these on the “I’ll do it later” list but they never get done. Take the “rip off the Band-Aid” approach – when you notice something is broken – fix it. Have a handy person you can call if you’re not the fix it type. But don’t ignore there things 1. because they’re just annoying and 2. because they can turn into bigger things. Update with the season. Every fall and spring switch things up a bit. Bring out brighter throw pillows, blankets, candles and other decor. The seasons come with a different energy – for example, we have dark, fuzzy throw pillows and heavy cable knit throws for the fall and winter. Lighter and brighter for the spring. The candles and decor for the seasons are different and when you embrace this it allows you to really settle in and feel into the time of year we’re in. Personalize your space. Your home is an expression of who you are. Create on the outside how you feel (or want to feel) on the inside. Every single thing in your space should be an expression of you. If you hate the color yellow, but your walls are yellow -paint them. If you love butterflies – find artwork (or make some) that has them on it. Your wall color to your duvet cover and everything in between should 1. contribute to how you want to feel, 2. express who you are or 3. represent what you love. For example, I love polka dots – so I have polka dotted silverware :). Love it, need it or leave it. Keep only what you love or need. It doesn’t matter what anyone else thinks or has to say about it. BUT stop holding onto things just because you bought but never used it and don’t want to feel wasteful. Or you thought you’d use it someday, but never did. Maybe you’re just a stop on that things journey to get to where it needs to go. Let it go so it can get to its final destination. The other thing this will help you to do is be a lot more decisive about what you bring into your space in the future! I’d be happy to help you come up with a game plan to create a home you love. 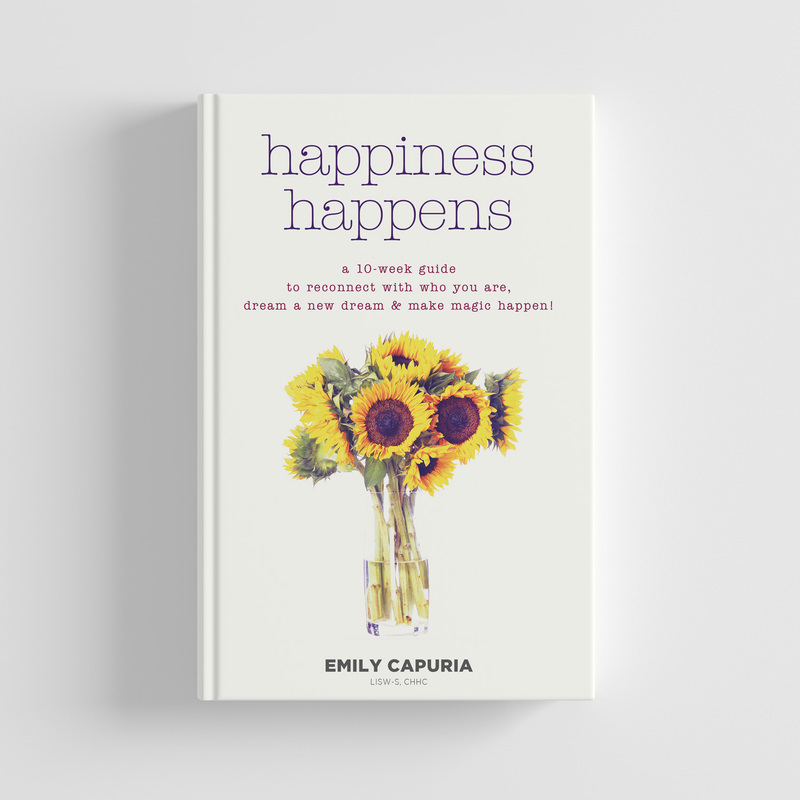 It’s a major factor in your overall happiness, and is surprisingly simple to do with a little help. Click here to schedule a strategy session to get started.